Days after his arrest, Jay Z and Roc Nation are lending a helping hand to rapper 21 Savage after he was arrested and detained by U.S. Immigration and Customs Enforcement (ICE) officials in Atlanta over the weekend. ICE claims the 26-year-old rapper overstayed his visa and that he is a convicted felon. While all of those things are true, there is talk that his record was reportedly expunged last year, and his U Visa petition to address his overstayed Visa is still pending. So, should he still be facing deportation? Several celebs have spoken out in his defense - including Cardi B, Nicki Minaj, Offset, Wale, and more. Georgia congressman Hank Johnson even released a letter he sent to the immigration judge overseeing 21 Savage’s case. Now, Jay Z is stepping in, but he's doing more than posting up social media posts. He's putting big bucks behind his defense in an effort to get the father-of-three released. 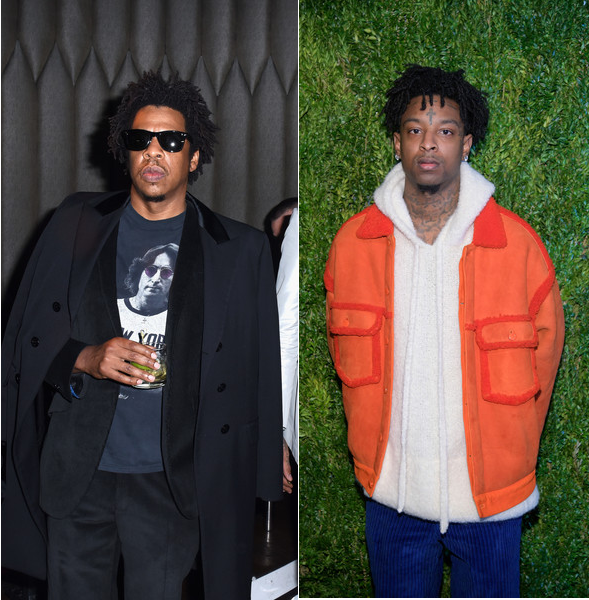 Jay Z, along with Roc Nation, has hired high-powered attorney Alex Spiro to assist in getting 21 Savage - real name Shayaabin Abraham-Joseph - out of custody. Hov released a statement in support of 21, calling his arrest "an absolute travesty." "The arrest and detention of 21 Savage is an absolute travesty, his U visa petition has been pending for 4 years. In addition to being a successful recording artist, 21 deserves to be reunited with his children immediately, #Free21Savage"
By the way, Spiro worked on the Bobby Shmurda case a few years ago. 21's representatives released a statement clarifying the rapper's immigration status since details about his arrest have been inconsistently reported. They confirm he was born in the United Kingdom (like the birth certificate that has been floating around confirmed). However, he came to the United States at the age of 7, not 12, as previously reported. They said he left the country and returned again in 2005. His visa expired in 2006 and he filed for a U-Visa in 2017, which is still pending. A source tells Variety that if 21 - who's up for two Grammys - isn't out by the time the Grammy Awards go on this Sunday, then "there will be an immigration-themed moment in his honor." Now, it's just a waiting game.